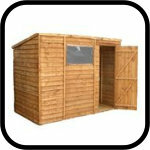 If you are looking for a no fuss, simple, does what it says on the tin, garden shed then this is the range you've been looking for. 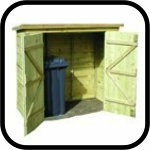 Here are a hand picked selection of our best value wooden sheds and garden storage solutions. 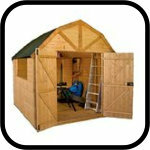 Taylors Garden Buildings range of garden sheds are not cheap quality sheds, just low price great value sheds. If you want somewhere to store your garden tools, bikes, toys or any of the clutter we all collect in our lives, you'll find what just you want in here. If you don't see what you are looking for here then feel free to give our friendly team a call on 10604 586939. We pride ourselves on our customer service and try to treat our customers like family. 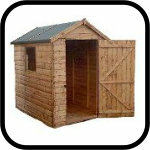 We have a selection of wooden sheds and buildings on display at our Woodmeadow Garden Centre in Northampton but we would always urge you to call before you visit as the stock changes regularly.